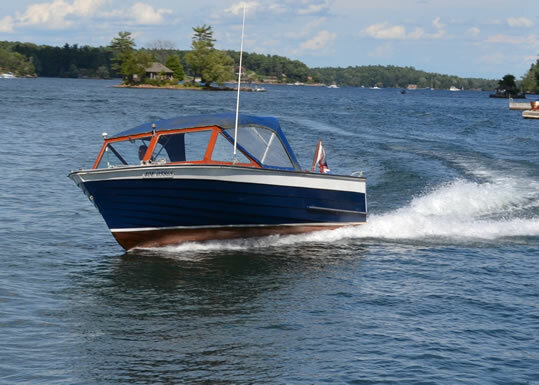 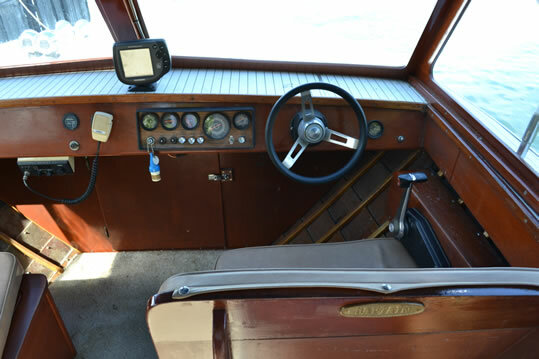 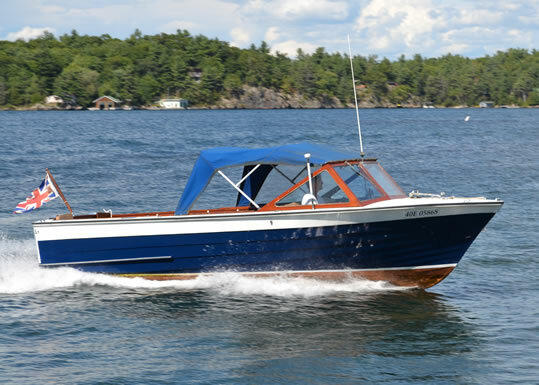 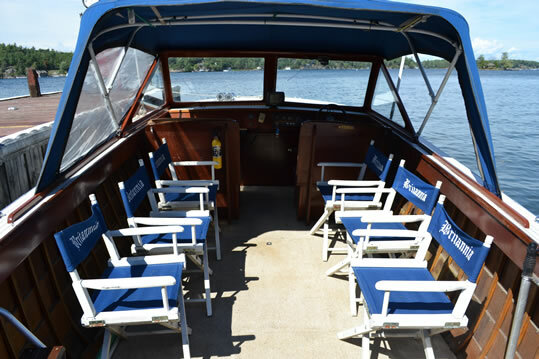 A custom-built wooden Cliffe Craft-- one of the last built by the noted Gananoque, Ontario, firm -- this gleaming runabout is frequently mistaken for a Lyman, which it closely resembles. 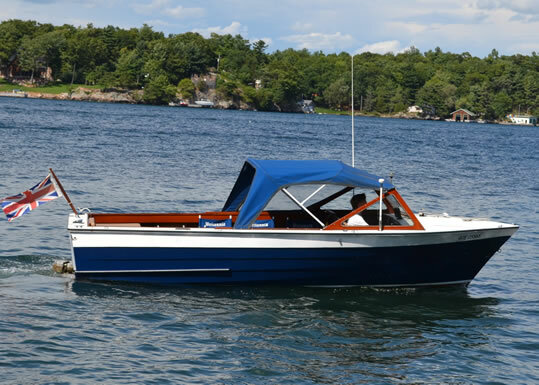 Named for the famous royal yacht BRITANNIA, this theme is echoedin her hull colour, the flag she flies, and her interior furnishings.This craft is in the water of the St. Lawrence River at Hill Island -- one of the world-famous Thousand Islands -- and is currently in weekly use by her second owner, who purchased her in 1990. 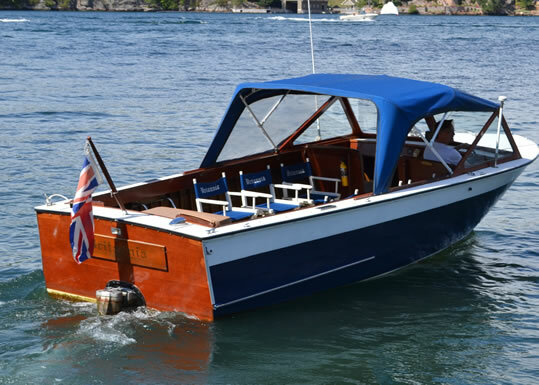 A comfortable and reliable boat, it is being offered for sale only because the owner's extended and growing family requires a larger vessel.